Note: We Can Supply Everything But The Alcohol - Find A Complete List Of Prices And Special Packages On Our Website. We Are Located In The Harrisburg/York/Carlisle Pa Area. (travel up to 2 hours). Bartenders Are Pa RAMP Certified / And Or Tips Certified Accepted in 48 States. Our Experienced Bartender/s And Or Waitstaff Will Arrive In Professional Attire. If Your Event Is On A Fri Or Sat, (Saturdays Book First). I Would Not Wait To Long. 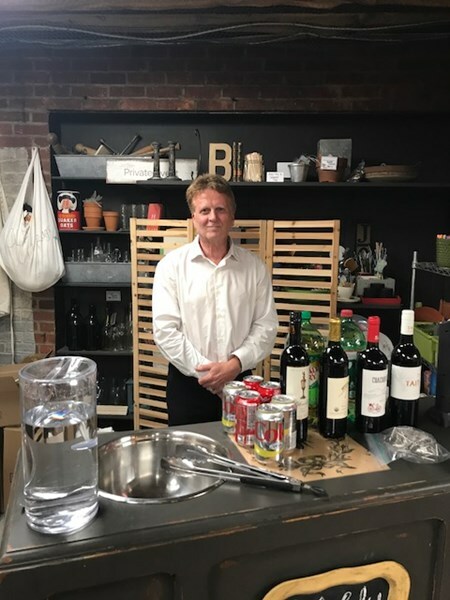 Remember The Bartender Is One Of The Most Popular People In The Room And Can Make Or Break Your Event, Pick A Good One "A Bartender 4 U"
On Your Bar Budget And You And Your Guests Will Love Them ! Please note A Bartender 4 U will also travel to York Haven, Highspire, Middletown, Lewisberry, New Cumberland, Manchester, Bainbridge, Mount Wolf, Rossville, Lemoyne, Hummelstown, Camp Hill, Harrisburg, Emigsville, Dover, Wellsville, Elizabethtown, Mechanicsburg, Rheems, Grantham, New Kingstown, Summerdale, Hershey, Dillsburg, Maytown, Enola, Marietta, Franklintown, York, Lawn.